How much do you know about types of wedding suits for grooms? We cover all the basics and more on this article. Check it out! 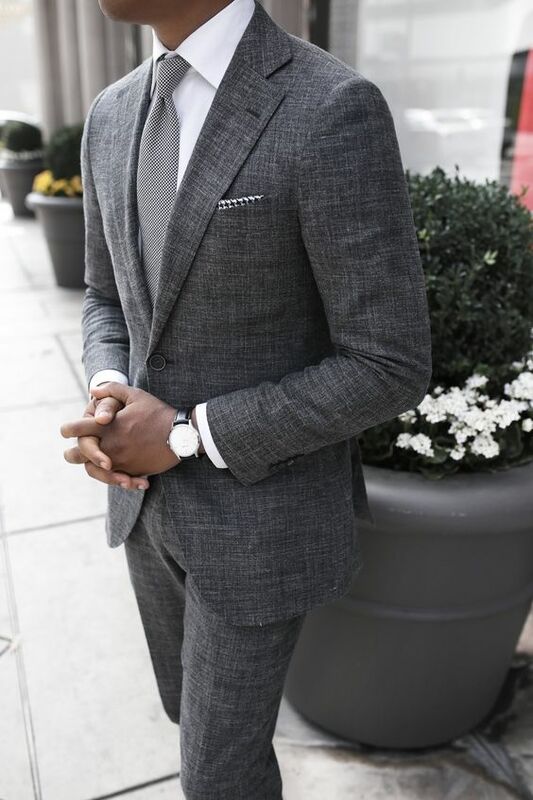 Love this suit for a civil ceremony or as semi-formal groom attire. 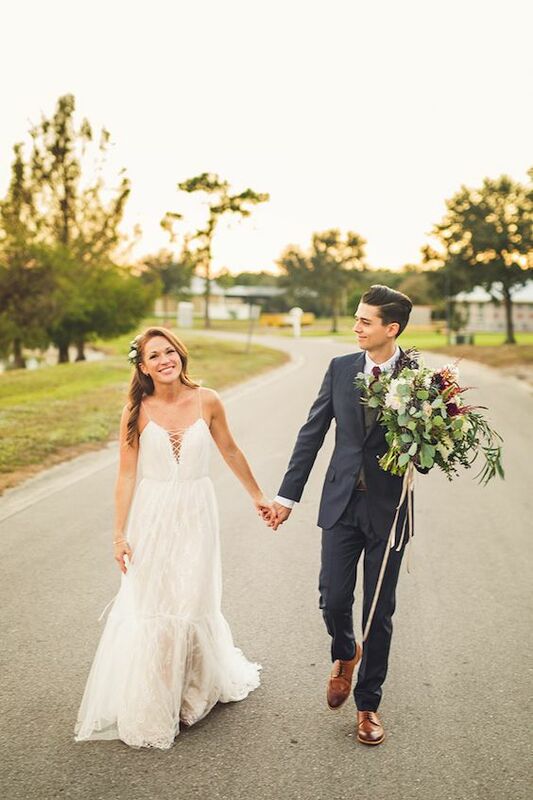 From simple designer wedding suits to a classic wedding tuxedo, there are several types of wedding suits for grooms to rock these days. Let’s define the different types of wedding suits and figure out which the most appropriate for your big day. Selecting that appropriate wedding suit style could always get tricky. 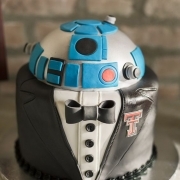 But the last thing a man wants is to look sloppy beside his stunning bride on their big day. Be it a church celebration or a casual backyard affair, the groom’s wedding suits should always flow with the wedding theme. And more importantly complement the bride’s attire without stealing the spotlight. So What are the Types of Wedding Suits for Grooms? 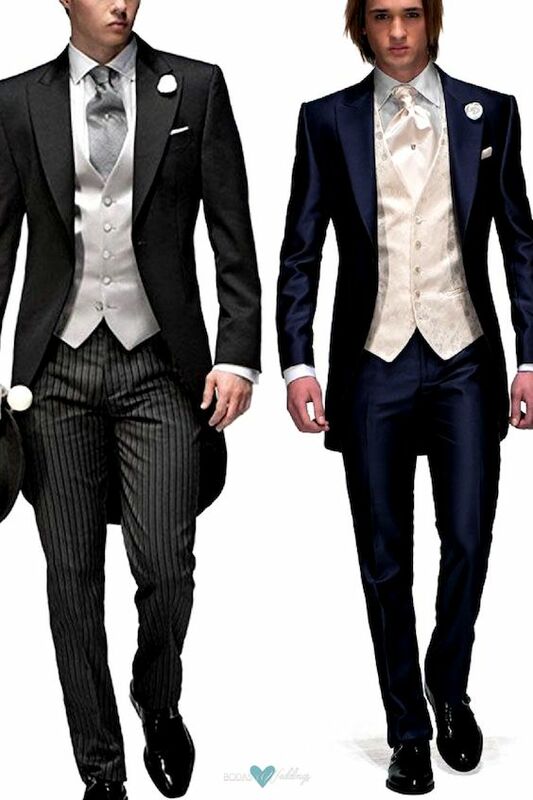 Three types of wedding suits fall into this category: the evening tailcoat, the tuxedo and the dinner suit. The evening tail suit or tailcoat is the most formal option of them all. We have all seen them in movies where the event is super elite. 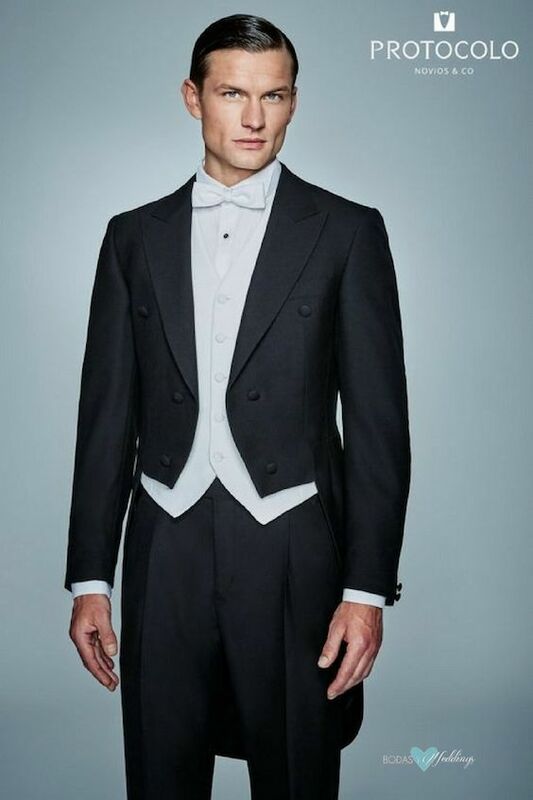 The most formal option consists of a back tailcoat, which is worn open as it fits the body very snugly, a black pair of trousers, white shirt with a detachable collar, a bow tie, marcella waistcoat and patent leather shoes. The purple tie stands out with this evening tail suit for a black tie wedding. 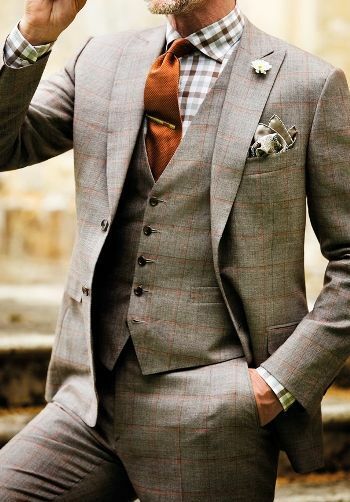 Three piece tweed suit for a winter wedding. Make sure to pick high quality fabrics for your wedding suit. 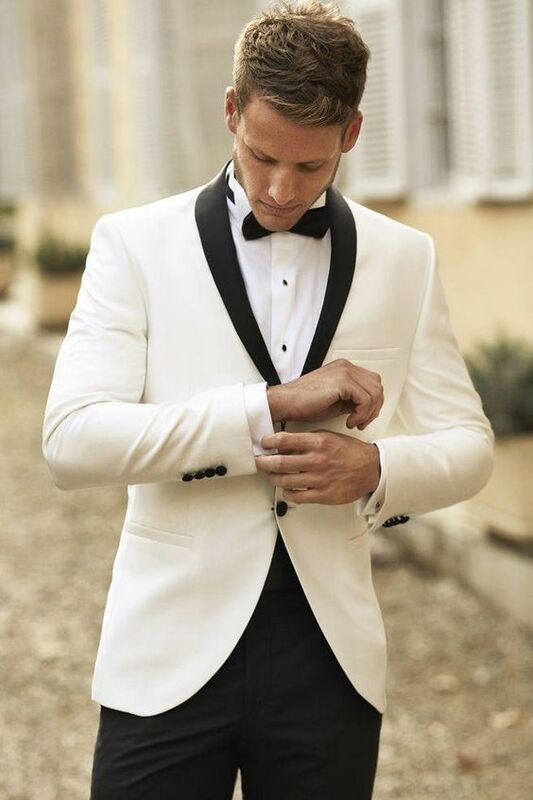 Not going out of style anytime soon, a classy tuxedo carries that element of formality into your wedding day. For a traditional experience, remember to keep it strictly black-tie, preferably a bow tie to remain super formal. The tuxedo differs from the wedding suit in that it always has a satin trim. For a more modern look, you may choose a light blue fabric with a contrasting navy blue satin. Black tuxedo. Did anybody say Bond? By Xamns. 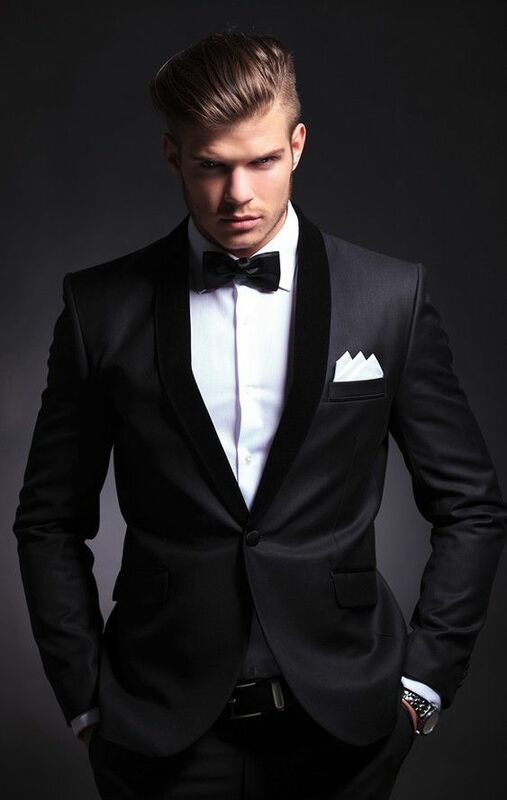 Contrasting cummerbund and tie paired with a classic tuxedo. 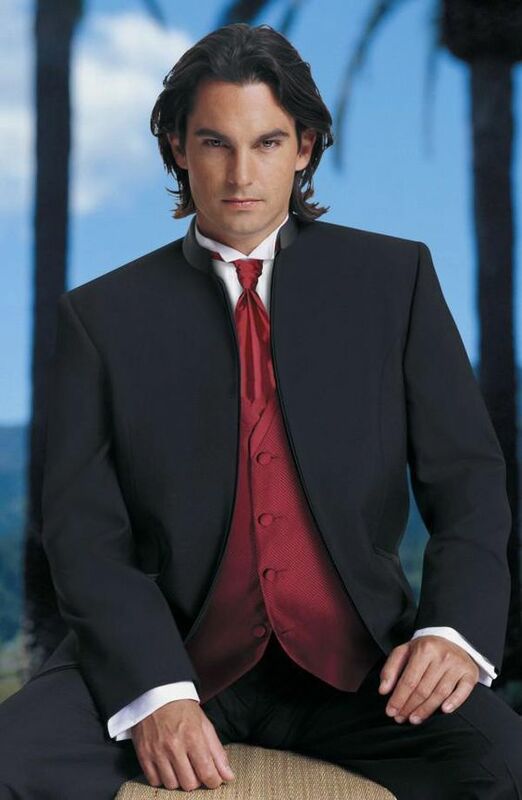 Slender grooms can wear a higher button stance, like on this three piece tuxedo. Whether you are flashing a single-breasted or a double-breasted type of wedding suit, you can opt for a white and black combination to set a traditional tone. These types of wedding suits for grooms won’t steal the shine off the bride but will make you look absolutely stunning. For a formal look, pick a bow tie. 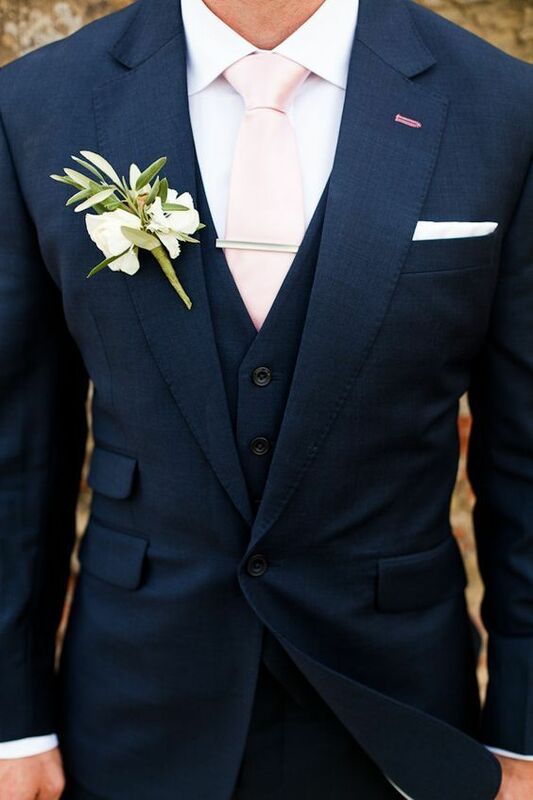 Navy blue american cut wedding suit. Tailored dinner suit tux for classy grooms. Rami Salamoun groomwear with slim fit in black and a single pocket. Nothings says you cannot amp it up and wear a tux at a semi-formal or cocktail wedding but you can take a few more liberties here. 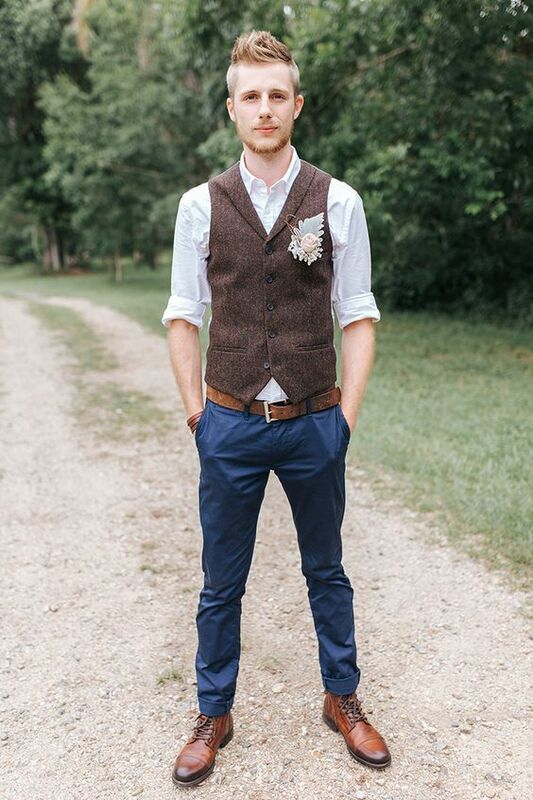 If the groom wants to sport a more informal look at the wedding, a more casual attire is befitting. These suits come in different silhouettes. 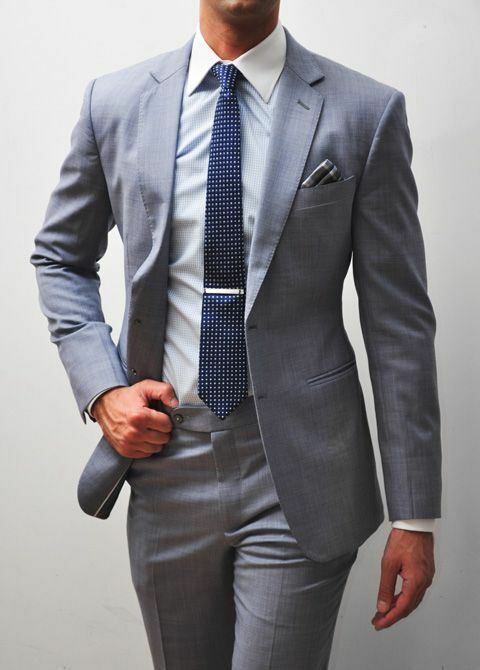 The double breasted or Italian style suit – with 4 to 6 buttons and better for tall or slender men – is more tailored and formal than its single breasted British style counterpart – the one that has vents in the back of the jacket. They are usually worn with long ties but bow ties are not off the table. if you are feeling a little adventurous, pick pastel-colored wedding suits. 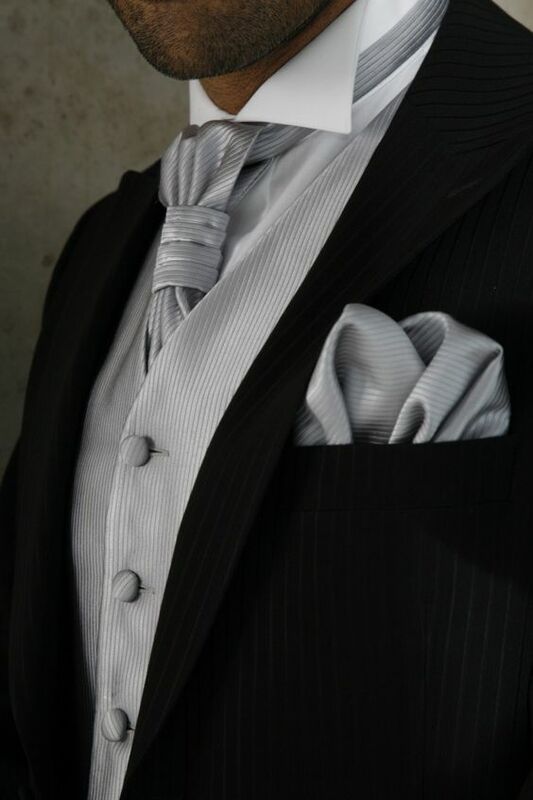 Three piece wedding suit in grey and lavender with bow tie and pocket square. Delicate plaid matched with a red tie and pocket. Duper classy and semi formal. 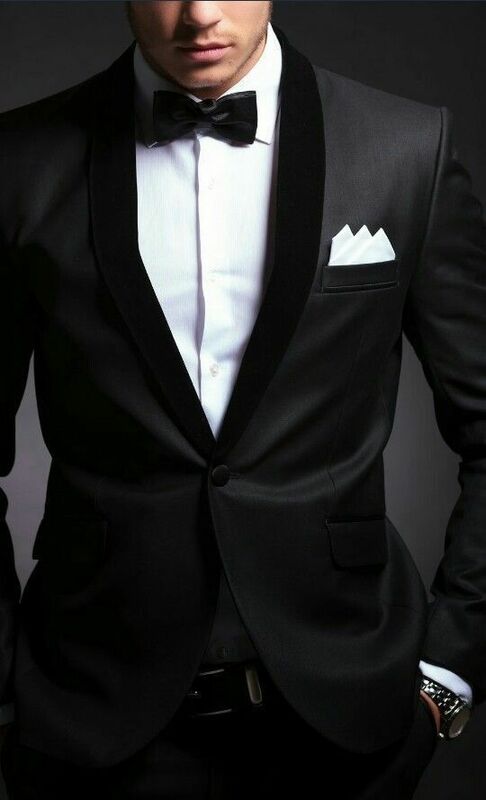 Slim fit tuxedo with notched lapel by Dhgate. Again, you can choose the style that best fits your figure: single or double-breasted, two or three buttons and a waist coat. Pair it with a dress shirt and a solid or patterned tie. 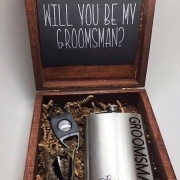 Navy, gray, black or pinstripe will provide the level of formality needed to look fantastic by your bride. Don’t forget to pick a beautiful pair of cufflinks and lace up shoes or loafers. We recommend to wear a business suit for a civil ceremony. Semi-formal types of wedding suits for grooms are made with a more relaxed taste in mind. So make sure to go crazy with a three-piece that just flatters your silhouette and wedding theme. 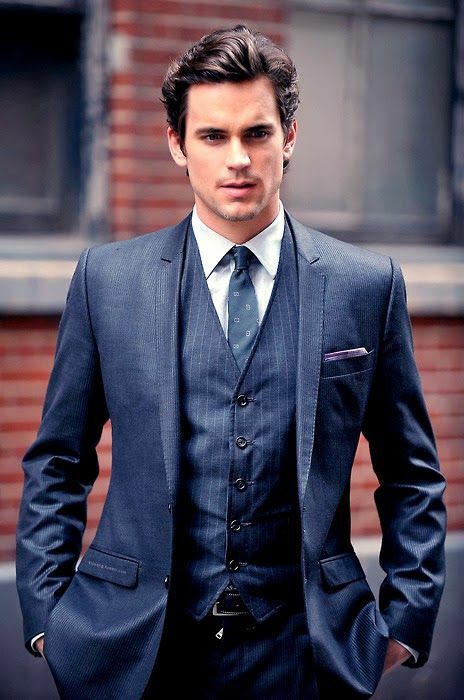 I think my brother got married in a suit like this one for his civil ceremony. By zeusFactor. Modern street style for a brunch wedding by notey. 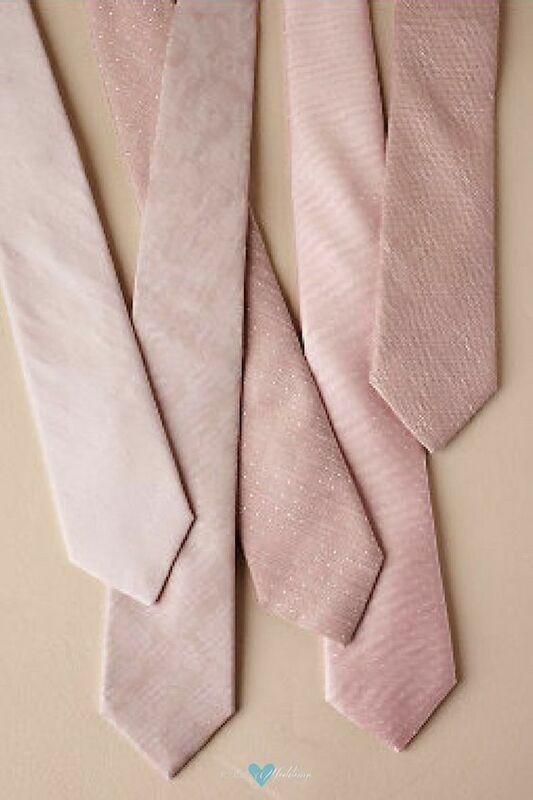 Pick your tie from The Tie Bar, in partnership with BHLDN for only $19. An informal wedding approves of a laid-back two-piece. So it doesn’t matter if you having beach party or some destination shindig, you can opt for an attire with or without a waistcoat. Alternatively, just can pull off wearing just a waistcoat and ditch the jacket for that casual, yet still elegant look. 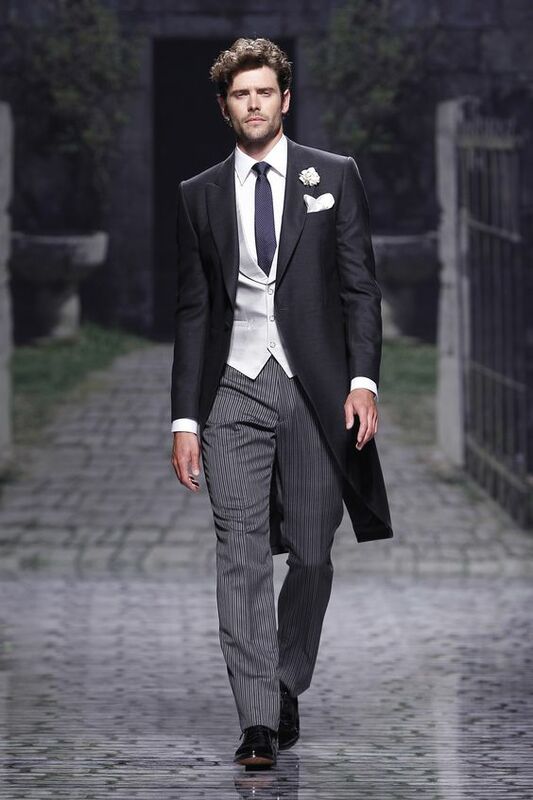 These types of wedding suits for grooms allow there allow for a deviation from the usual white and black ceremony. You can get playful with hue—from light pastel colors of light blue, bright blue and even off-white. 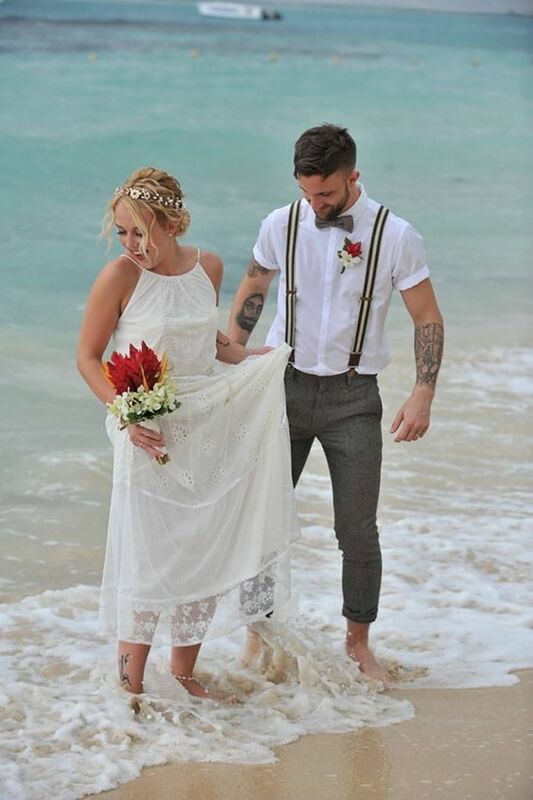 Lounge suits are best for beach weddings because of their light to medium colors, they are more comfortable, can be worn with or without a tie, are usually single breasted but you can go three buttons to give it a more formal look. But nothing says casual attire like a bow tie and a pair of adjustable suspenders. Relaxed casual and stylish white linen wedding suit for grooms. Casual beach wedding attire for the groom. 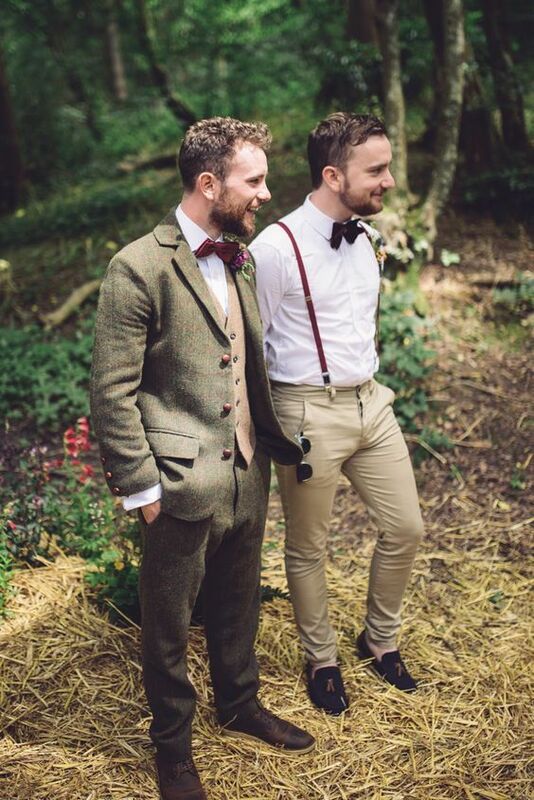 Brown tweed three piece suit and bow tie for a vintage woodland wedding. Photographer: Jenna Woodward Photography. 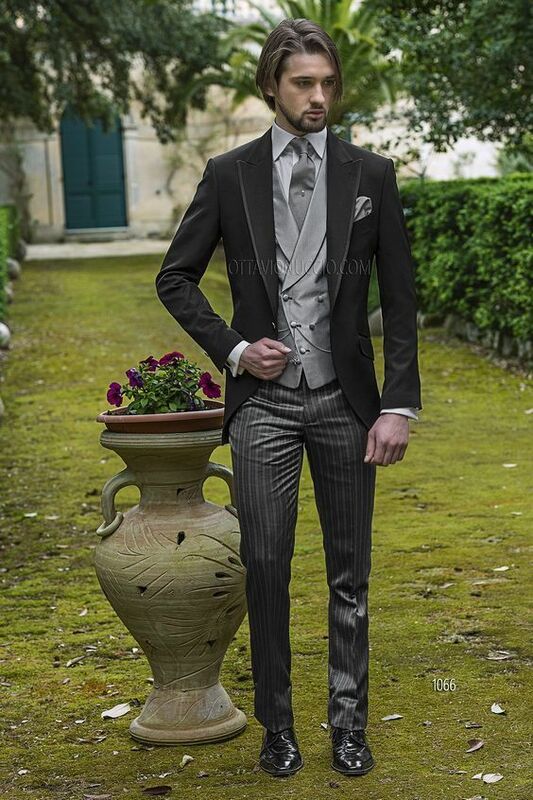 Classy formal and extremely dapper wedding suit for grooms. 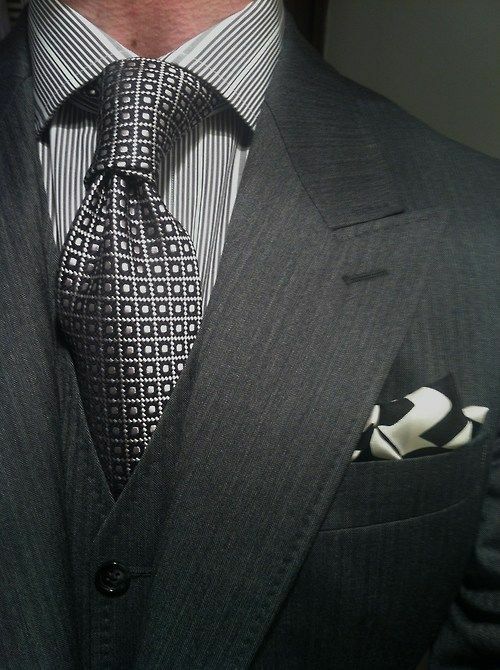 Love the color simplicity and the tie knot! 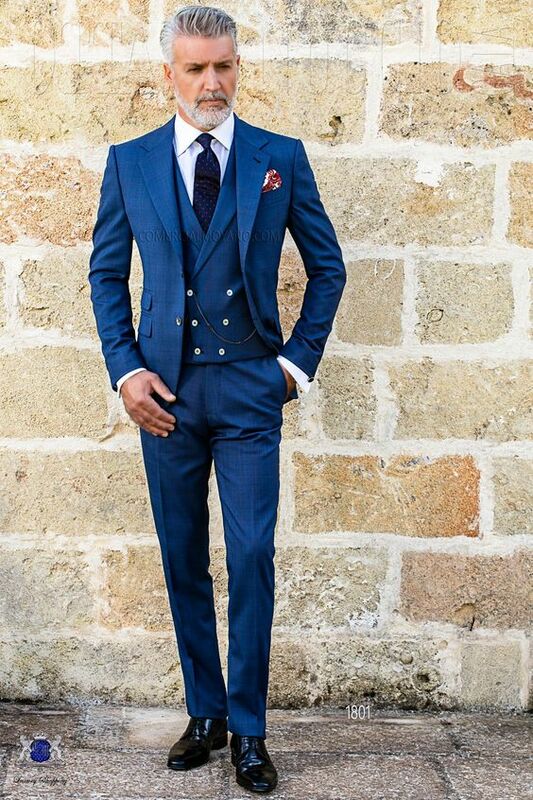 Blue wedding suit from the Ottavio Nuccio Gala collection. 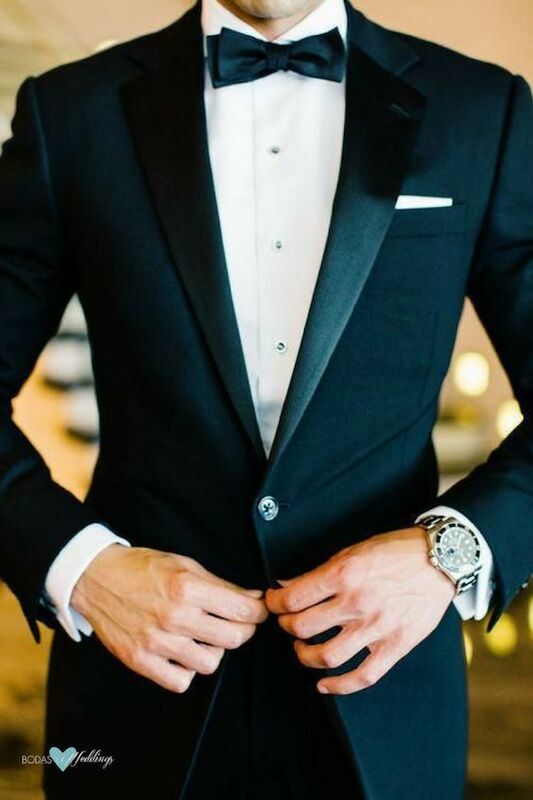 The tuxedo trademark is the satin lapel or satin details. The tux, a classic amongst the different types of suits for grooms. 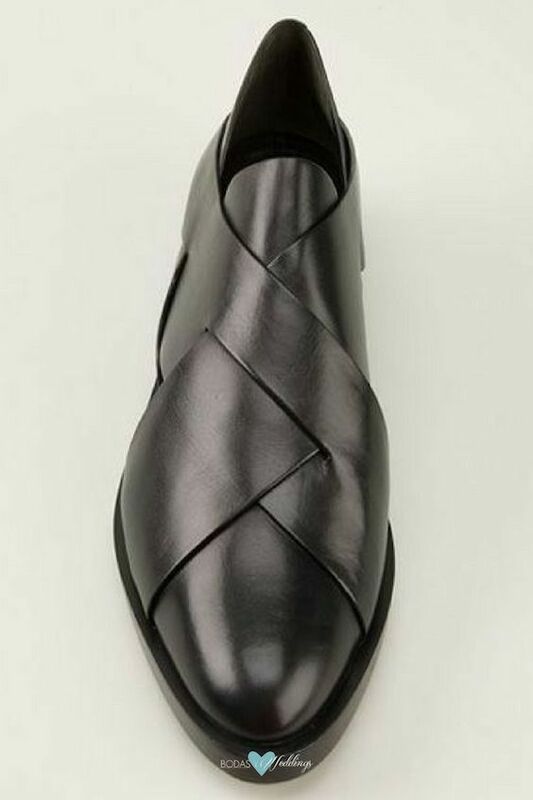 A stylish leather shoe will complete the groom’s look. Two button single breasted tuxedo in ivory and black. 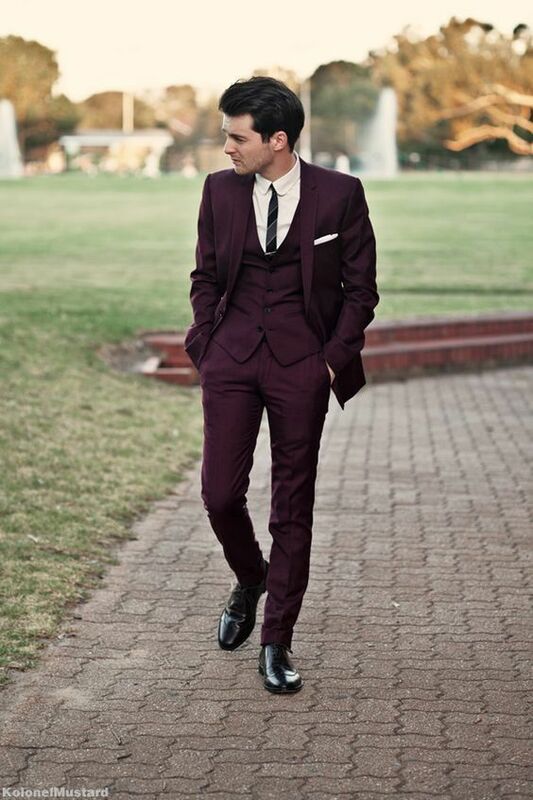 Slim fit three piece burgundy wedding suit. Kolonelmustard. Navy blue and pink suit. Photography: mandjphotos. Modern and vintage variations of the evening tailsuit. If you have a choice between two or three buttons, go for two. Whether renting or buying wedding suits for grooms, the fit must be right to remain sharp. Aside from choosing the right color, fabric, detailing and stitching, you still need a wedding suit style that complements your physique. Check out these tips! Red is coming strong for 2018. 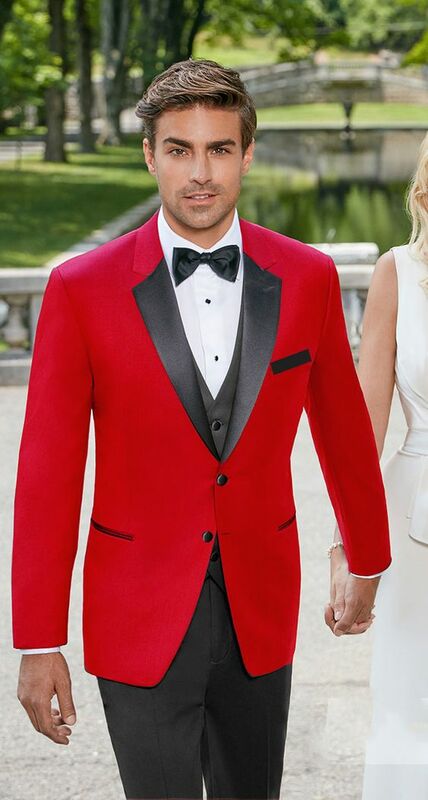 How about a red tuxedo with black satin notch lapel by perfecttux? 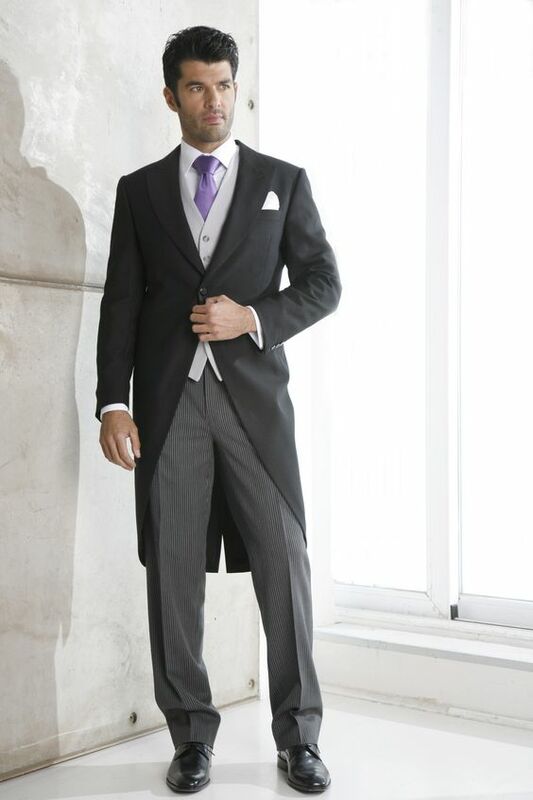 If the groom is short or stocky, avoid excess fabric, long jackets, high button stances and pants with lots of break. Become friends with the pocket square and show some cuff. Your suit shoulders should not slouch. Make sure they keep you walking tall and fit. If you have a choice between two or three buttons, go for two. Three will always make you look more boxy – of course, unless that’s what you are going for. The sleeves should end at the height of your wrists. 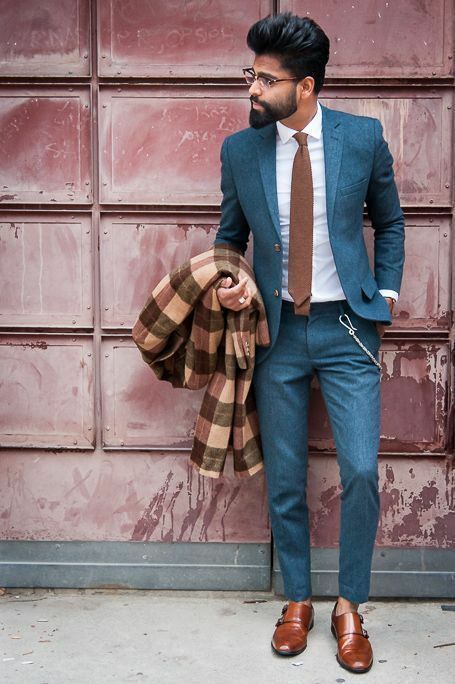 Have your tailor narrow the suit to your figure and get rid of excess fabric. Don’t go lapel crazy. maybe 2 inches at its widest point. We hope this has helped you sort out what you should wear at your wedding. 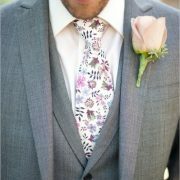 Don’t forget to take a look at this article on the groom’s tie and all you need to know about it! 10/15/17 /5 Comments/by Havi G.
anytime, Paul!! Thank you for your message! !